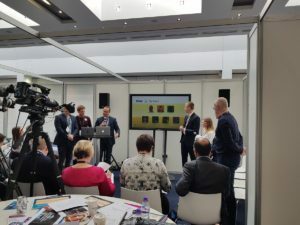 Follow us to BIBA 2018 conference in Manchester and find out which of the Konsileo members won the BIBA Hackathon award. 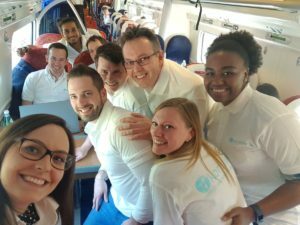 My first month at Konsileo has been far from a dull and ordinary induction! 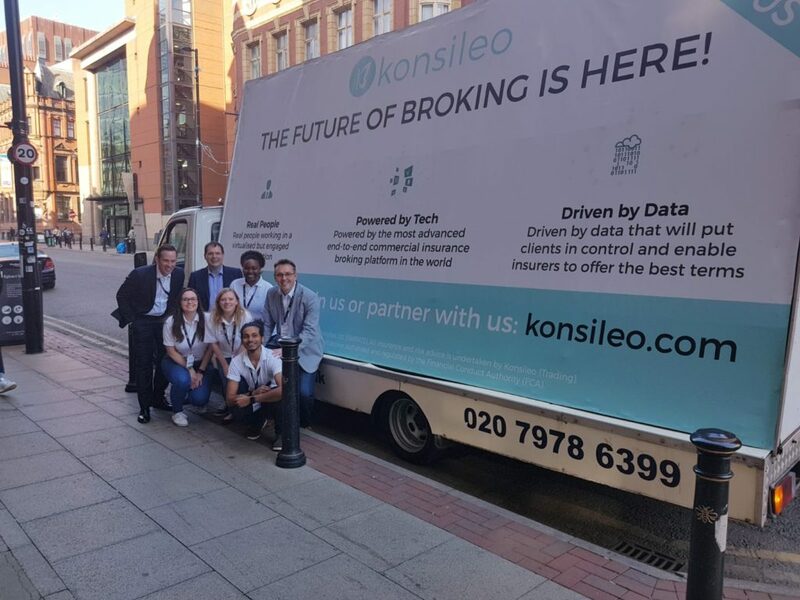 On my second day, I travelled up to Manchester with the Konsileo team for a three-day annual BIBA (British Insurance Brokers’ Association) conference. Whether you’re an underwriter, an insurer, a platform provider, or a broker, the BIBA conference offers you the opportunity to extend your knowledge, make new contacts, and reinforce existing relationships. 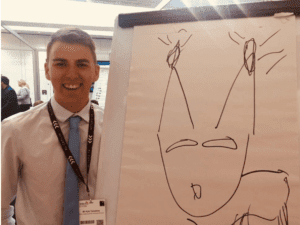 Although I didn’t come from an insurance background, the BIBA conference was a fantastic way to roll my sleeves up and get stuck into the insurance industry. It’s now one month after the conference and we’re back in the office at full power, but I wanted to take a moment to reflect on the experience as a complete novice to the industry. some form of InsurTech solution that could add real value to the broker’s bottom line. Seeing as it was only my second day at Konsileo, (as you can imagine) I was rather nervous about undertaking the BIBA Hackathon. However, I had no reason to be at all! Although we were all separated from our colleagues and put into random teams, it wasn’t long before everybody got to know each other! As we picked our challenges and team names, there was a real sense of support and excitement buzzing around not only my team, but the entire room. Wednesday’s incredible six-hour long innovation challenge saw each team successfully create a fully-working mock-up of their challenge solution. Each team then took it in turns to present their ideas and solutions to our special judges, consisting of brokers, software developers, and other insurance industry experts. After much deliberation, the award went to team ‘Spotlight’! 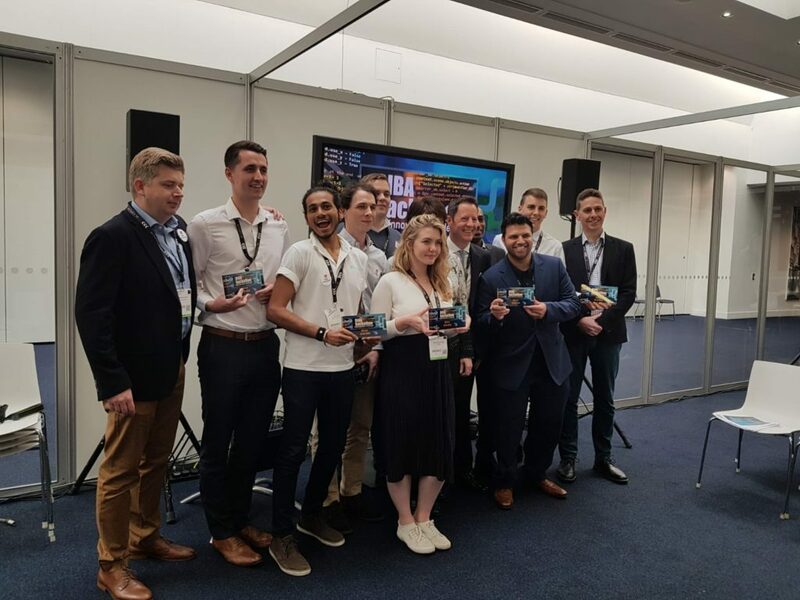 Our very own UX Designer, Arindra Das, was part of team Spotlight, which also included Ajay Mistry, Joshua Austen, and Kyle Tompkins from Brokerbility, and Renaud Million and Emma Pegg from Spixii. It was clear from the beginning that they were very worthy winners. Spotlight’s challenge involved (with the help of web developers and various other experts) providing a data-enriched, single view of the prospect or customer for the broker, to give them a better understanding of their client base. We decided to have a chat with Arindra to find out more about his victory in the first BIBA Hackathon! What did you think a hackathon was going into it? Had you done one before? Coming from a start-up and technology background, I’ve attended more than 20 hackathons and have won at least half of them. How did you find the process? How did you feel? It felt amazing to see such a dynamic shift in the insurance industry! It has completely changed my views on insurance as I now see it as more open and innovative. I also discovered that there are so many opportunities to explore how technology can really benefit the insurance industry – it’s only the beginning! Which parts were the most challenging? When seven strangers, all with different backgrounds and skill sets, are put together and left to work on a common goal without much guidance and on such a tight schedule, it is always difficult. There’s so much uncertainty! But for my team, getting to know each other was definitely the most rewarding part of the hackathon. Which parts were more straightforward? Once we got to know each and how our individual strengths would benefit the team, things became much simpler as we were then able to rely on each other. What did the judges say about it? What did you learn from the experience? Is there anything that will apply to your work with Konsileo? I feel like Konsileo is currently at the forefront of insurance disruption, and every challenge in the hackathon was relatable to Konsileo. I feel very proud to be part of the Konsileo journey and what we are doing here. Would you recommend it? Does it matter if you can’t code? As I mentioned earlier, hackathons are not about being able to code. They are about creating a space to allow people to be innovative, open, flexible, and adaptable – it’s often these soft skills that get lost when working on a very formal level. Winning is just the cherry on the cake, the real value is gained from thriving in this type of environment. Are there any collegial/funny comments about other team members that you can make? Our team name was Spotlight and we gave pet names to each one of us based on our background and experience. We also made funny caricatures based on our appearances and the pet names. Whilst mine was Light Shaper, we also had Sunlight, Light Centre, and Twilight (to name a few). Twilight’s caricature was a fox that had light coming out of its ears. Generally, the whole team got along really well, and we’ve made some great connections between our companies. Overall, it has been an amazing first month getting really involved at Konsileo. I’m excited to apply the hackathon experience to our broker training workshops as it is a fantastic way for everyone to get to know each other and unlock their creativity. Special thanks go to the organisers and hosts of the BIBA Hackathon for putting on a fun and well-structured event. Once again, congratulations to team ‘Spotlight’ on their win – until next year! Proud to be representing Konsileo in Manchester!